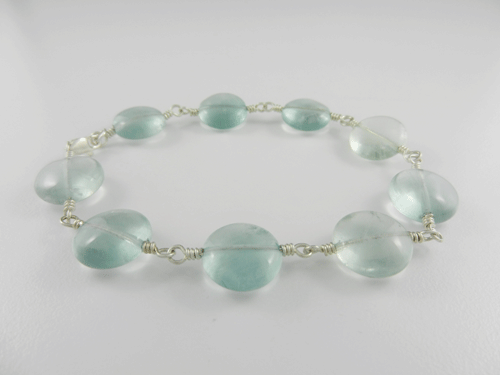 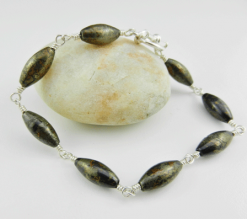 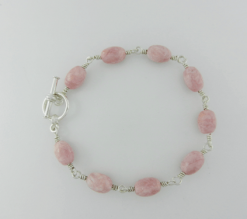 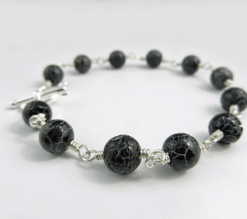 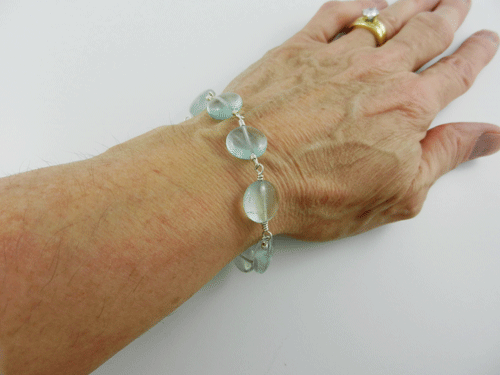 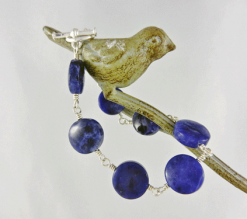 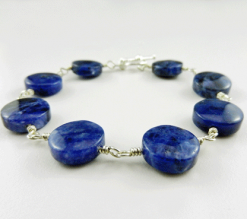 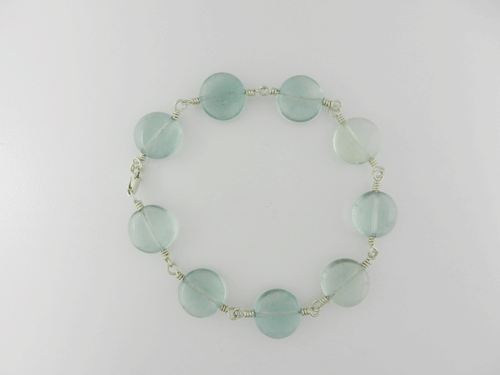 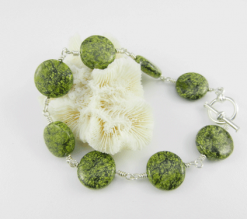 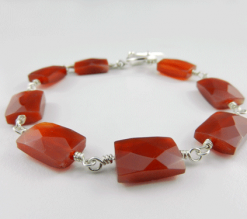 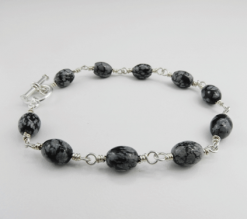 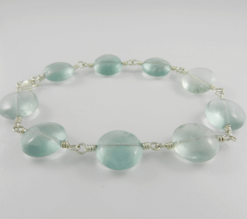 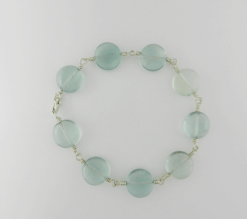 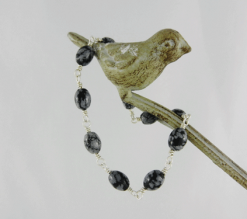 There is something intriguing about this fluorite and silver bracelet. 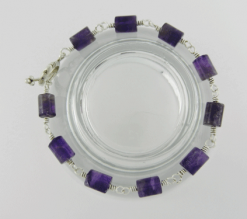 The beads are all just a little different in density of color. 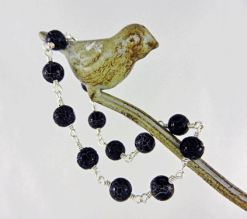 Some much deeper than others and some a mere shadow of their darkest sister beads. 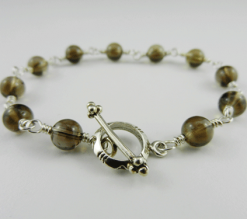 The look, overall, is fabulous. 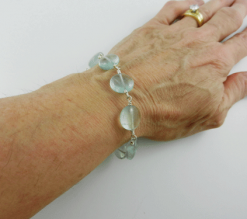 Not too uniform and yet constant enough to all sit perfectly around your wrist. 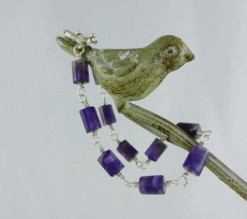 Fluorite derives from the Latin noun fluo, meaning a stream or flow of water. 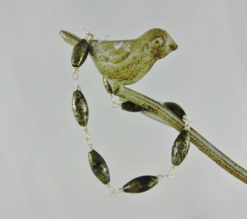 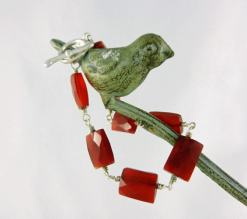 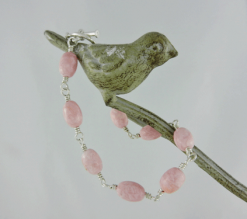 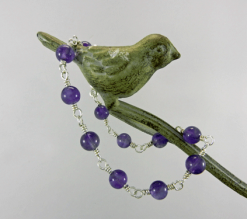 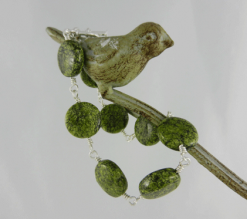 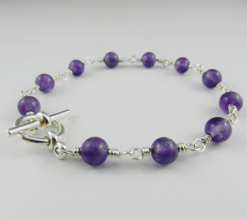 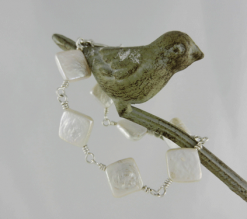 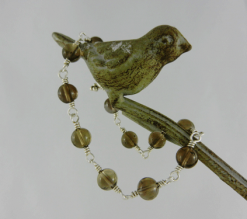 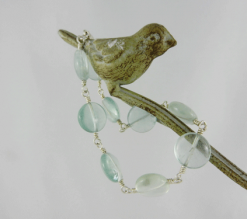 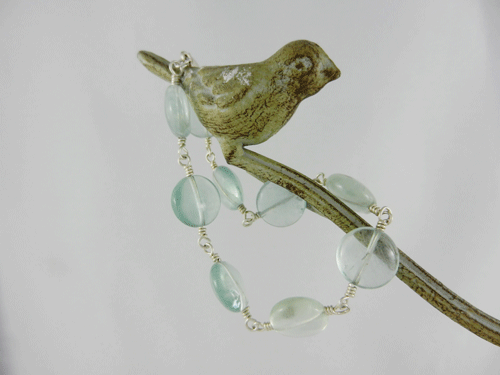 I wire wrapped fluorite beads using sterling silver wire to create this bracelet. 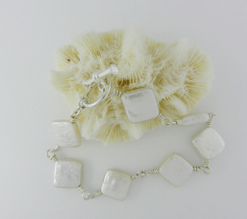 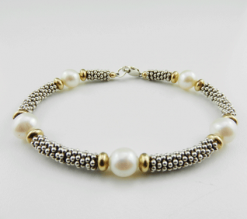 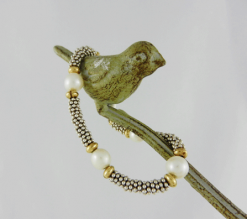 The sterling silver lobster claw fastener was also wire wrapped to ensure strength and endurance.